Domestic violence, in the form of child abuse and intimate partner violence, remains a pervasive part of contemporary life in the U.S. Its effects are deep and far-reaching. This new 2-hour online continuing education course is intended to help health professionals maintain a high state of vigilance and to be well prepared with immediate and appropriate responses when abuse is disclosed. There is a special section on the complexity of an abuse victim’s decision about if and when to leave an abuser. This course will teach clinicians to detect abuse when they see it, screen for the particulars, and respond with definitive assistance in safety planning, community referrals, and individualized treatment plans. Developing cultural competence results in an ability to understand, communicate with, and effectively interact with people across cultures. Effective health communication is as important to health care as clinical skill. To improve individual health and build healthy communities, health care providers need to recognize and address the unique culture, language and health literacy of diverse consumers and communities. Frequently asked questions about ADHD and teenagers. A: ADHD has a wide range of symptoms and it can be confusing and stressful for the child or teen. 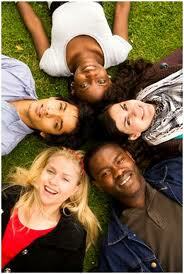 Young people mature at different rates and have different personalities, temperaments, and energy levels. Most of us get distracted, act impulsively, and struggle to pay attention at one time or another. It is when symptoms such as these, or acting in impulsive or reckless ways, daydreaming, becoming easily confused, or trouble sitting still for any length of time are hurting school work or impairing social activities that ADHD should be looked into. A: Knowledge in genetics, brain imaging, and behavioral research is leading to a better understanding of the causes of the disorder, how to prevent it, and how to develop more effective treatments for all age groups. NIMH has studied ADHD treatments for pre-school and school-aged children in a large –scale, long term studies. NIMH-sponsored scientists are continuing to look for the biological basis of ADHD and how differences in genes and brain structures may combine with life experiences to produce the disorder.